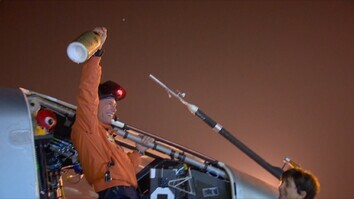 June 29, 2015 - Just 36 hours into what was supposed to be a six-day journey from Nanjing, China, to Hawaii, the solar-powered plane known as Solar Impulse 2 turned around because of bad weather, landing in Nagoya, Japan, on June 1. A cold front over the Pacific Ocean resulted in winds that were too strong for Swiss pilot André Borschberg to complete the longest leg of a round-the-world flight that was to follow a route similar to Amelia Earhart's when she disappeared 77 years ago. 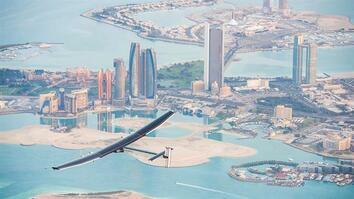 "Solar Plane Makes Second Attempt to Reach Hawaii"